Top 10 reasons to volunteer in Nepal | Pod Volunteer. Volunteering with Pod Nepal is not just about what you will achieve as an individual; it’s about how you will contribute to our wider programme of work. Our team members are ever changing, but Pod Nepal has a consistent presence in the community, supporting and improving the lives of those most in need. So, whether you have a 12 month Gap Year or a 3 week holiday to fill, your contribution is sure to make a real, long term difference in the lives of those you work with. Lots of people take time out to ‘see the world’. They meet new people, learn a new language, taste new foods...All great stuff, but a fairly one sided relationship. By sharing your skills with your hosts, both sides will benefit enormously. You could give an English course for Street Kids, art classes to Women at Risk, a smile to anyone who needs it. Whatever you do, volunteering abroad gives you the chance to give something back to the people who have opened up their community to welcome you. 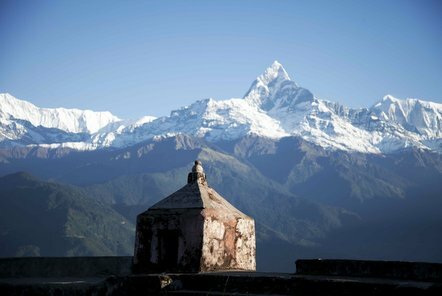 As a Pod Nepal volunteer, you will be based in the stunningly beautiful Himalayan town of Pokhara. The town sits on the shores of Phewa Lake with the snowy peaks of the Himalayas dominating the skyline. It is the starting point for treks, whitewater rafting trips, mountain biking, rock climbing, canyoning and paragliding, but, if you’re not into all of that, there are plenty of opportunities to simply relax and recharge your batteries in spas, ashrams, retreats and lakeside bars. Volunteering abroad is pretty much an ‘access all areas’ pass into the local community in Pokhara. You aren’t just passing through, ticking off ‘things to do’ from your guidebook, you are dedicating your time and skills to improving the lives of others. The people here understand and value that and will demonstrate their appreciation by opening up their homes and lives to welcome you. In doing so, they present you with a unique opportunity to immerse yourself in a totally new and exciting culture. As an overseas volunteer you are bound to face some situations and challenges you have never even dreamt about, and we know just how overwhelming this can feel. With this in mind, our local staff run a weekly team meeting to celebrate your successes and offer guidance and support in overcoming any difficulties. Because of this, daunting situations become suddenly less so and instead become a fantastic opportunity to gain and develop a whole host of new skills. Being a volunteer abroad not only opens up doors into others’ lives, but will introduce you to qualities in yourself that you never even knew you had. Who knew you could communicate so effectively in sign language? that you could learn to read Nepali script? that you could deal with a mutant cockroach on your own? So come and find out what you can do, you may even surprise yourself! The skills you will gain as Pod volunteer in Nepal have their uses back home too, show them off by including them on your CV. Prospective employers and universities LOVE applicants with experience of volunteering overseas. It indicates a whole host of desirable skills and experiences; motivation, resourcefulness, adaptability, independence, confidence...all great for boosting your CV and your chances of success. 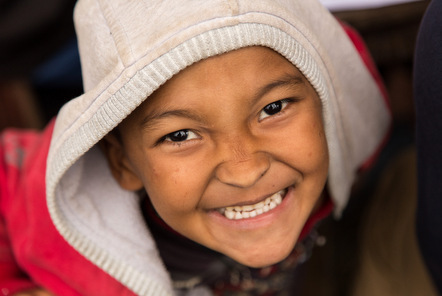 Above all else, you will enjoy every minute of your time volunteering with Pod in Nepal. You will make friends for life and build amazing memories. You and the rest of the team will share experiences that genuinely make you smile, and probably some that make you laugh in spite of yourself. But whatever’s going on, it’s sure to be ridiculously good fun! All of the above combines into a trip of a lifetime. Where else could you build an experience that makes a difference in the lives of some of the world’s most disadvantaged people, gives something back to your host community, provides you with untold rewards, takes place in one of the most amazing locations on the planet, allows you become part of the local community, builds and develops your existing skills, boosts your CV and, above all, is just really great fun? Not many places. And that’s exactly why you need to make volunteering in Nepal part of your plans for 2012.